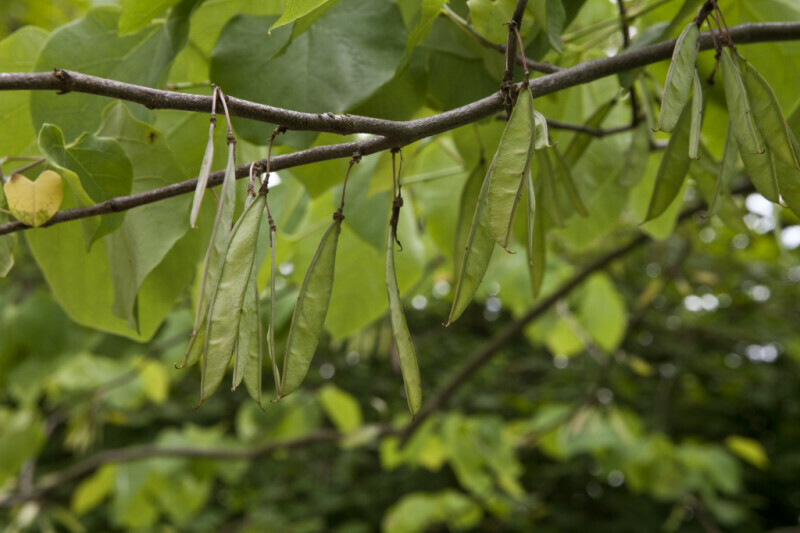 Seed pods hanging from the branch of a redbud (Cercis sp.) tree. This picture was taken at Old Economy Village.